When 55-year-old Chhavi attended a healthcare screening camp you supported, she never imagined she’d soon be fighting cancer. 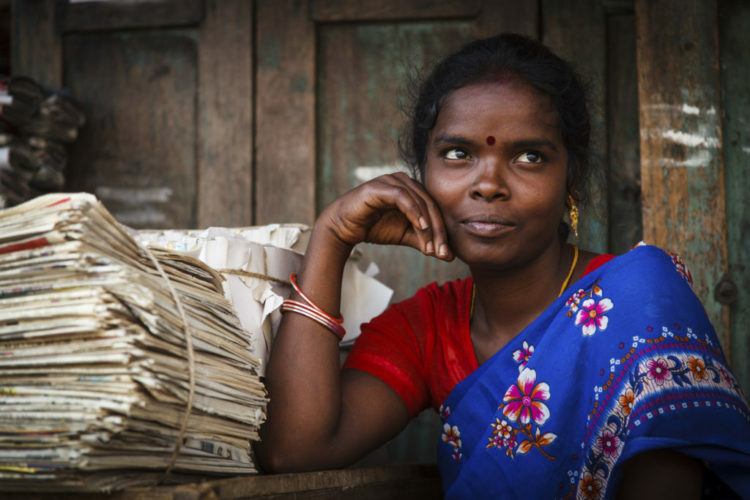 In Chhavi’s quiet village, health used to be a topic of discussion only when someone was sick. Treatable and preventable diseases like cancer, diabetes, and high blood pressure exacted a heavy toll because villagers didn’t understand how to prevent them in the first place. Now, Chhavi is one of 59 women who learned about the early signs of breast cancer as a result of the screening camp conducted by long-time BGR partner Bangalore Baptist Hospital. Their mission not only provides affordable healthcare to the poor and needy but also empowers them to take charge of their own health. Chhavi joined other women in a self-help group at the screening camp, listening to a doctor describe early symptoms of breast cancer and the proper way to conduct a breast exam. Chhavi had never heard this information before. It filled her with unease. Later, back at home, Chhavi performed her own breast exam. After a few minutes, she felt something that worried her. Her heart skipped a beat. Remembering the doctor’s presentation step-by-step, she checked herself umpteen times. Each time, she came to the same result. Each time, her worry grew. We all face that familiar dread when health takes a turn for the worst. Can this really be happening? What am I going to do? In Chhavi’s case, a little knowledge about her health likely saved her life. A mammogram confirmed what she already suspected: cancer. But Chhavi is a fighter. She summoned her courage and worked with field assistants to schedule a surgery to remove the tumor. The surgery was a success! Field assistants made regular follow-ups after the surgery, visiting her home often during the taxing period of radiation and chemotherapy. She has since returned to work, helping her brother raise cattle, and she is thankful every day for her decision to attend the screening camp. Thank you for donating, and giving each woman the chance to seek treatment before it was too late. But Chhavi’s battle isn’t over. Her breast cancer might be gone, but now the cancer has re-emerged in her lymph nodes, and another surgery might be on the horizon. Chhavi still needs your prayers—for healing, strength, and hope. Pray for others facing dire illnesses.